Regardless of your organization’s size, you can benefit by making the NordStar Group your managed services partner. NSG managed services are easily tailored to your organization’s needs. We offer a full portfolio of managed services that will help relieve the stress on your IT staff of day-to-day management and give them time to devote to improving your infrastructure rather than just managing it. Most enterprises realize reduced costs by using a managed service provider rather than internal resources. Managed services allow businesses to take a proactive approach and prevent problems before they occur. 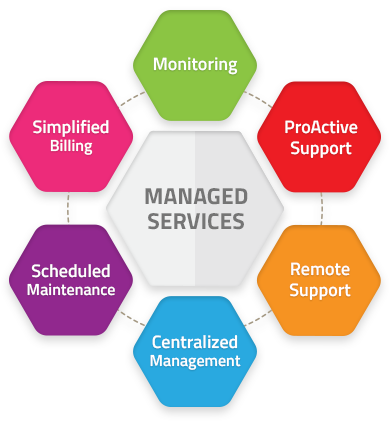 Contact NSG and let us customize a managed service program to fit your business.